NY Times Energy & Environment 29 July 2015: For years, companies that rely heavily on fuel have experimented with substitutes for conventional gasoline and diesel, including natural gas, electricity and biofuels. Now, one company is moving beyond the test phase. On Wednesday, UPS announced that it will buy as much as 46 million gallons of renewable diesel over the next three years, helping the company reach a goal of displacing 12 percent of the petroleum-based fuels in its ground fleet by 2017. 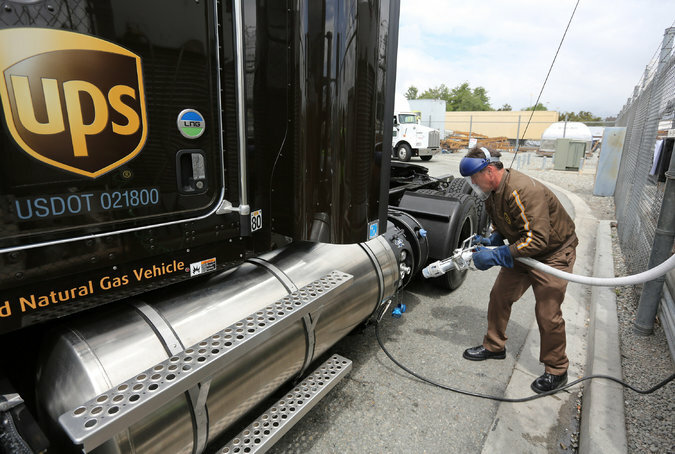 The renewable fuels, from three suppliers, are chemically so close to their petroleum-based counterparts that they can...read on.